The Book of Signs: 31 Undeniable Harbingers of the Apocalypse by David Jeremiah is an interesting read full of scripture. Each of the thirty-one chapters is divide by a topic and gets explained in detail. The Book of Signs: 31 Undeniable Harbingers of the Apocalypse would make a wonderful addition to your daily Bible studies or an intriguing read. Perfect for anyone who is looking for an in-depth breakdown of what scripture says about the end of times. 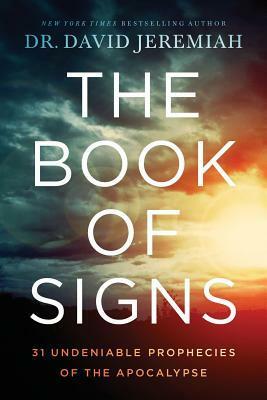 Sign into Goodreads to see if any of your friends have read The Book of Signs.